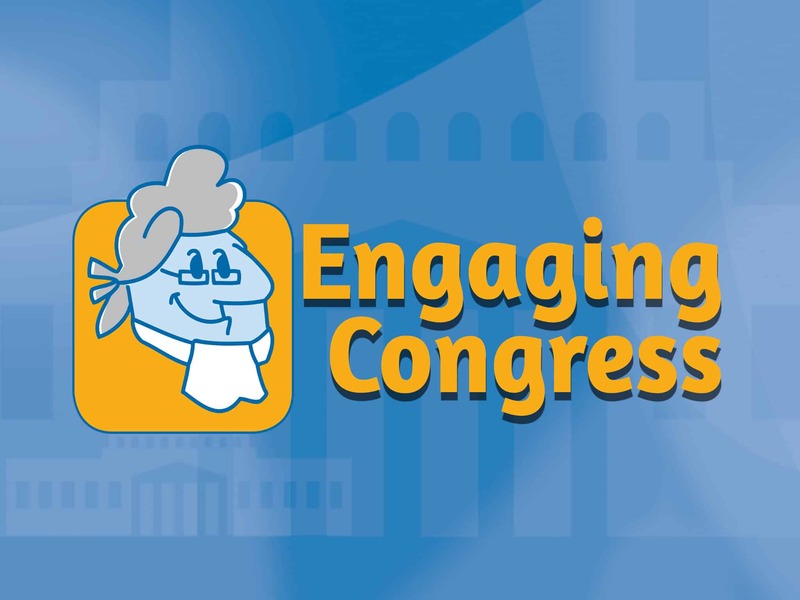 Engaging Congress is an app designed for the modern classroom and was released in 2017. Built in Unity , Engaging Congress offers fast, trivia-style gameplay, zoomable photographs and images, responsive drawing mini-games, and more in 5 distinct categories. This project was completed for the Indiana University Center on Representative Government and was funded by a grant from the Library of Congress. Released in 2017, this app is available for iOS and Android devices, as well as webGL for computers. All of the content was carefully crafted by master teachers and built by HFN in the Unity game engine. Players can use their touch-based devices or computers to drag images and text into place, play a game of trivia, or draw lines around districts as they learn about topics like gerrymandering. Players receive feedback to right and wrong answers and have access to a glossary and other tools to help you easily incorporate this app into a classroom or after-school program. The five topics include: Influencing the Political Process, the Separation of Powers, Voting Rights, The Federal Budget, and Federalism and State’s Rights. Players explore each of these topics by zooming in on historical photographs, dragging images into their proper place, touching the right answer in a trivia-style question and answer system, using a mouse or finger to draw districts, and more.